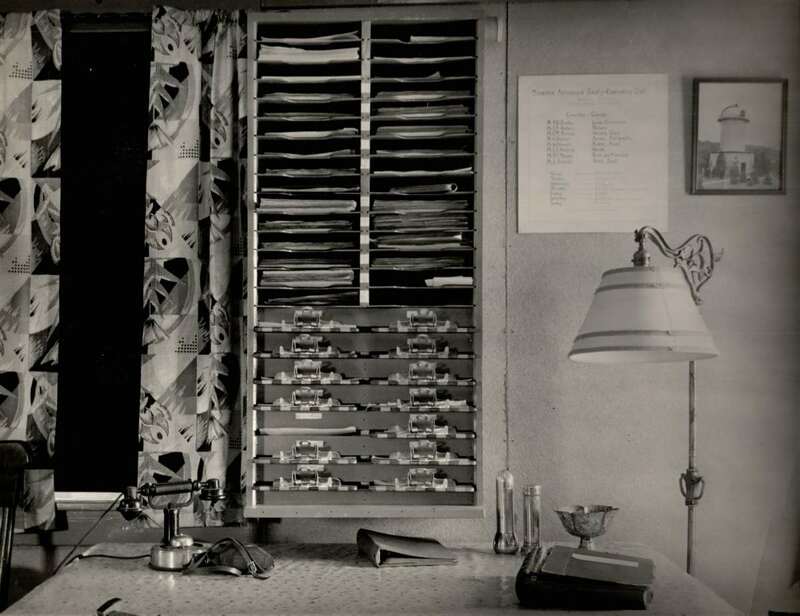 On March 25, 1938, the property was officially deeded to the MAS, having satisfied the requirement of construction. In May, the refurbished 13-inch telescope was installed on the pier. 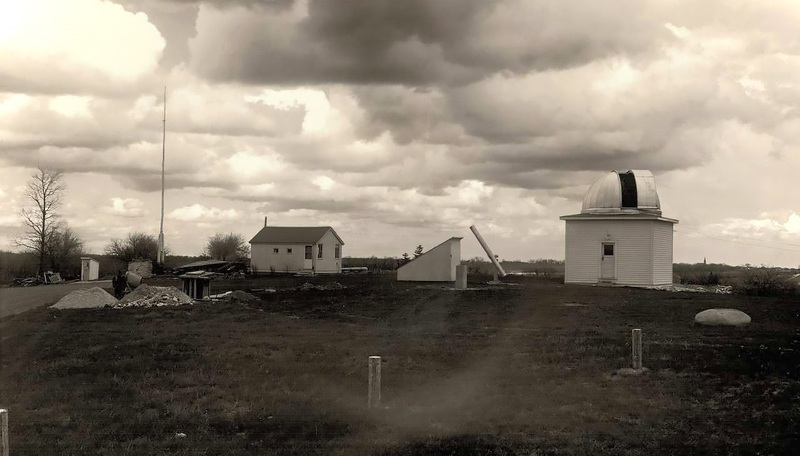 On June 18th, the observatory was officially dedicated and over 100 members and guests came to the event, many of them from Chicago, Madison, and other outside areas. 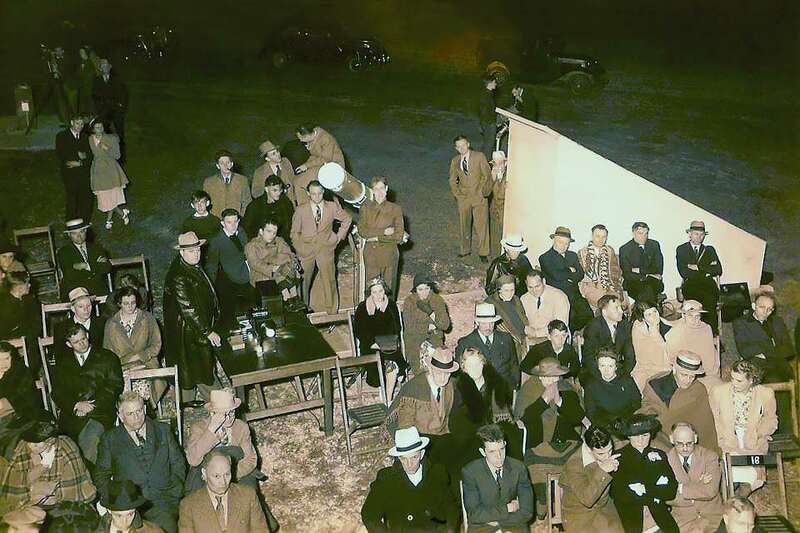 There was a picnic dinner and when it was finally dark enough for slides to be seen, Ed Halbach, who was President at the time, presided over the event. M. J. W. Phillips made the dedicatory address which included a brief history of the building, illustrated by lantern slides of the various stages of construction. The main address was by Charles Hetzer of the Yerkes Observatory. 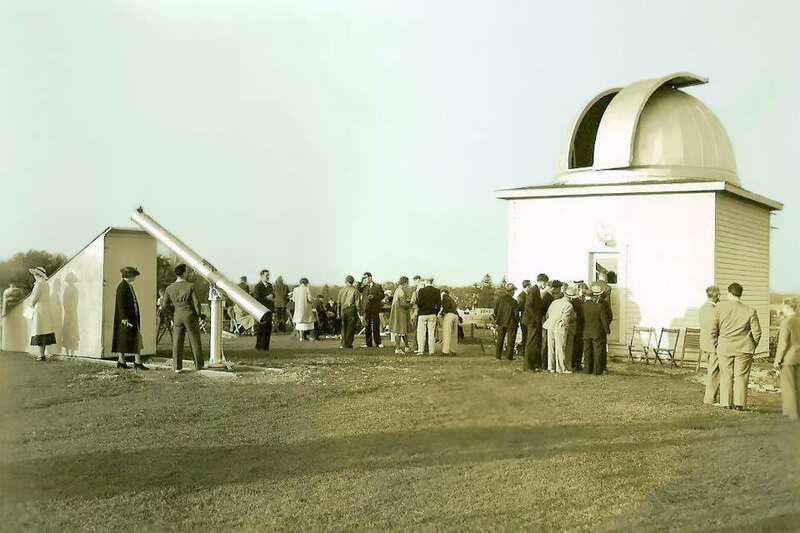 As the sky was clear, the rest of the evening was taken up observing with the 13 inch scope in the building and many other instruments belonging to the members which were scattered about the grounds. Cornelious M. Prinslow was appointed the first Observatory Director, responsible for distributing keys to the observing staff members and running the observatory properly. 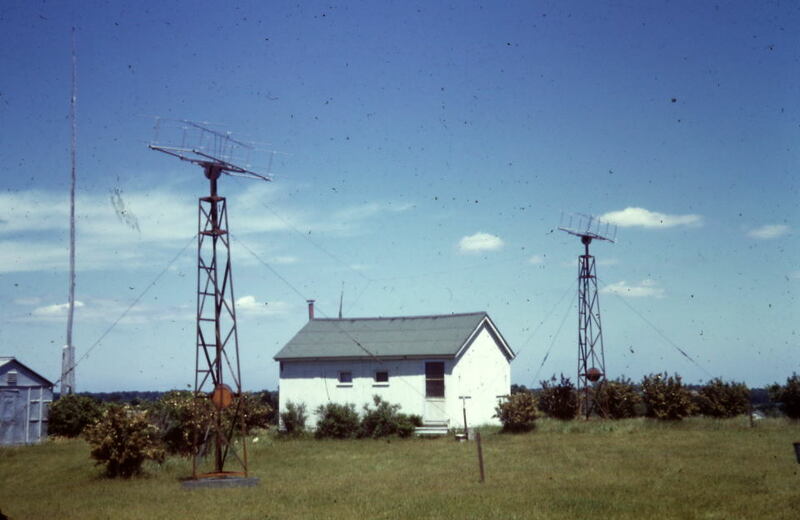 Shortly after the dedication, a 250 watt radio transmitter was installed to coordinate the group's duplicate meteor observations. For the antennae, they constructed two 80 foot towers (presumably flag poles) and strung a line between them. In the picture above taken in the summer of '38 you can see one of the poles. Because the lines are hard to see, the radio transmitter line is enhanced in yellow while the power line is enhanced in magenta. 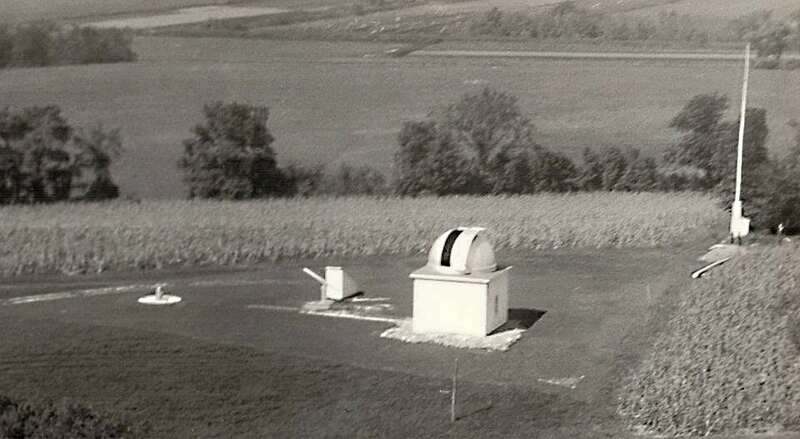 The above aerial photo shows the grounds taken on Sept. 24th, 1938 and we call it our "Field of Dreams" shot because it shows that our observatory was built in the middle of a corn field. 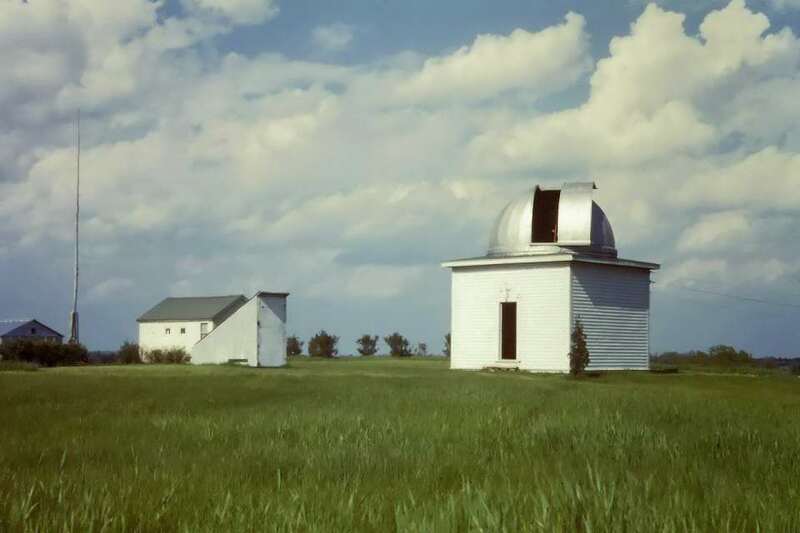 The publication of Amateur Astronomy was terminated due to insufficient finances. 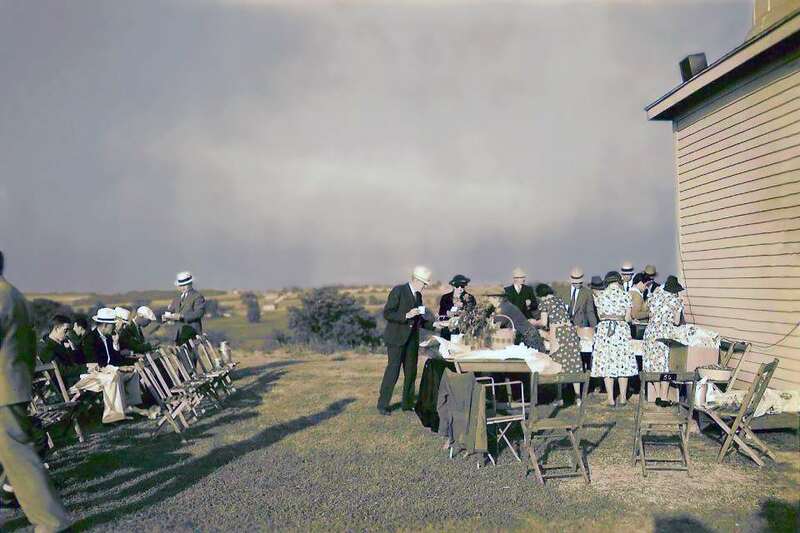 In 1938 and continuing until the end of 1941 with the outbreak of World War II, almost every Saturday during the warmer seasons there was a work party for maintenance and new construction. 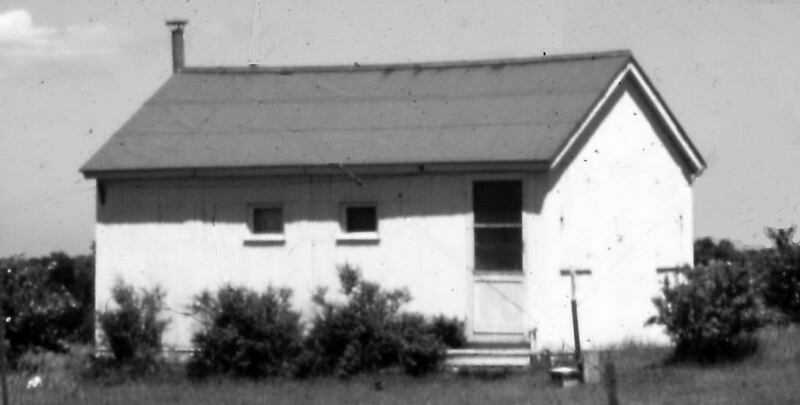 Late in 1938, the society acquired a voting booth building. It was arranged through the Election Commission and transferred to the Milwaukee Public Museum. The museum then loaned it, on an indefinite basis, to the MAS with the understanding it was returnable on demand, but that as long as we continued to use it, and carry on a program of public education without charge to visitors, we could continue to use it. The structure served as an office as well as sleeping quarters for one shift of observers while another shift used the telescopes. And it had a stove for heating. Though it was initially called the clubhouse, it generally became known as the monastery. Such dedication was not without its hazards: Ed Halbach dozed off while driving home after one late session and smashed into a light pole, injuring his leg. The basic building was complete by the end of 1939, but in 1940 it was partially disassembled and subterranean workshop was added. In 1940, Harvard College donated a Patrol Camera which was permanently mounted on a concrete pier with a flip-top. 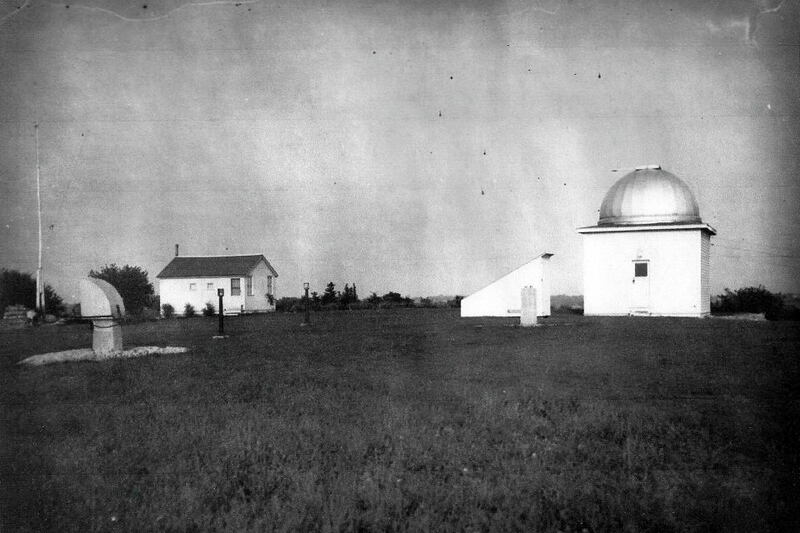 Above is the view of the observatory in 1940 with the newly erected clubhouse / monastery before the rebuild. It is one of the few pictures we have that show the outhouse which is seen on the far left of the photo. 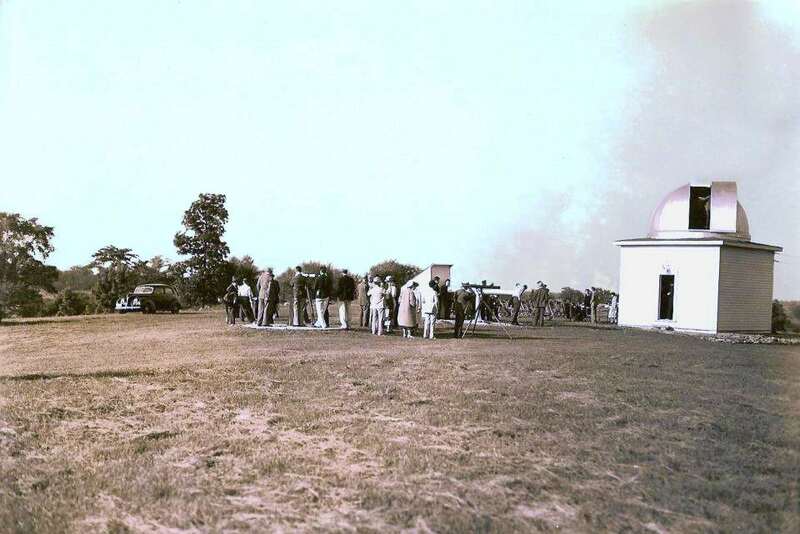 Most of the expansive photos of the observatory have it cropped out of the picture. Also at the left you can see the construction of the concrete pedestal for the Patrol Camera which was donated by Harvard College. It would be fitted with a metal flip-top. Comically, over the years many would mistake this structure as a entrance to an underground area. The National Geographic Society gave the MAS two Kodak f/2 cameras for aurora photography. 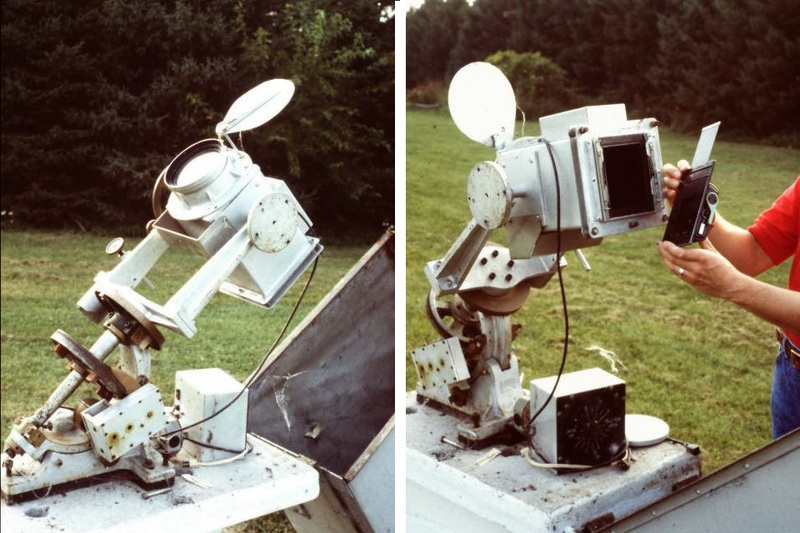 Hundreds of photograms of aurora were obtained with these cameras. View of the grounds in 1941. The patrol camera is in the foreground at the left. Views of the camera with the lid open show the equatorial mount and film holder. 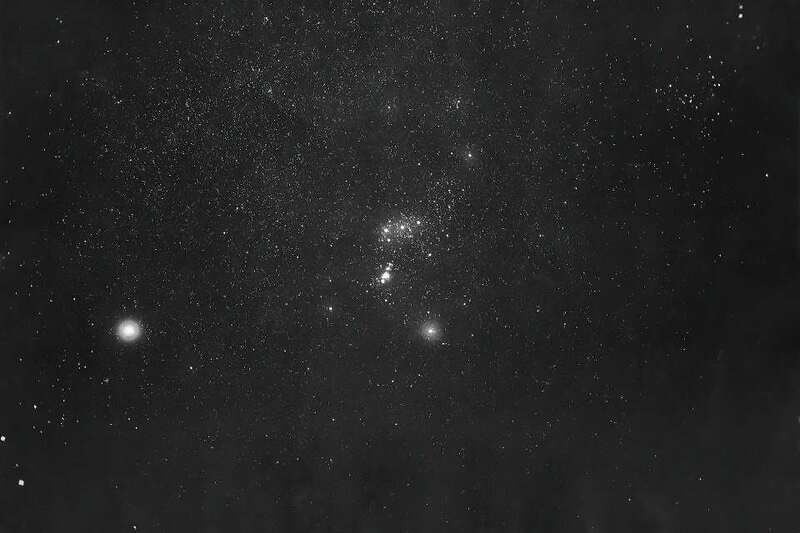 An example of an image taken with the patrol camera showing the area around Orion. In 1941, the MAS obtained a donation by the Milwaukee Journal of an old sub station building that was sitting at 645 E. Otjen Street in Bay View, Milwaukee. 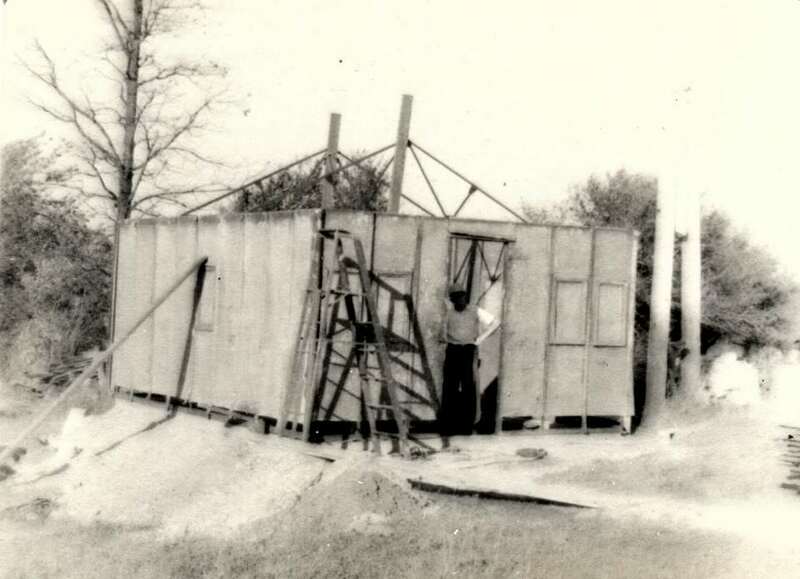 MAS members transported the structure to the observatory where it was reassembled. It was an all metal building that was then used as tool shed. Technically, the building was off the property, but it was on the Phillips Farm and it was allowed. Above: one of only 2 known pictures of the interior of the clubhouse / monastery. It shows one corner. 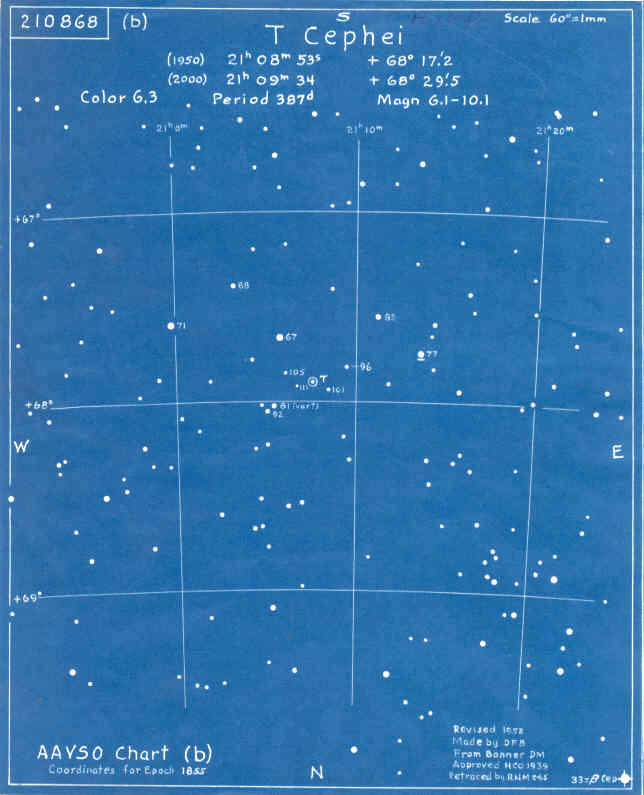 The above rack positions hold the AAVSO blueprint charts of variable stars to be observed by the MAS, while those below hold the clipboards of individual observers. The book at the lower right is the log book, which everyone would sign when visiting the observatory, a practice that exists to this very day. The telephone connects with a like instrument in the 2nd floor of the A-Dome. 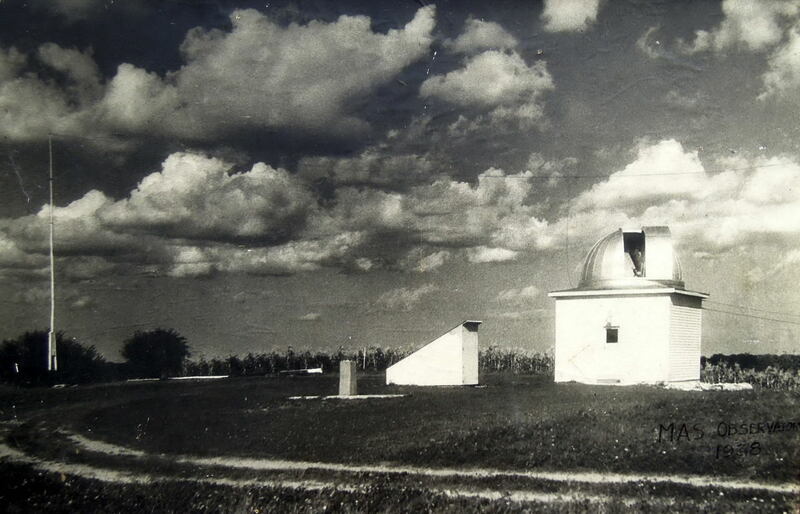 The observatory as it looked by the end of 1941. The Tool Shed is at the far left. The picture above shows a pair of radio antennae for the meteor work we were doing. These replaced the high wire one that apparently failed quickly. We don't know exactly when these were installed, but it was sometime in the 40's. 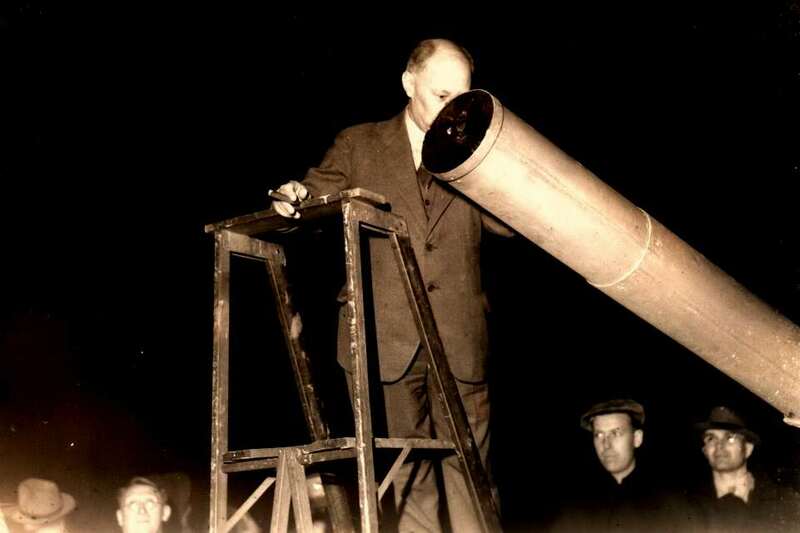 In 1942, Ed Halbach became the second Observatory Director, a position that he will hold for the next 35 years. 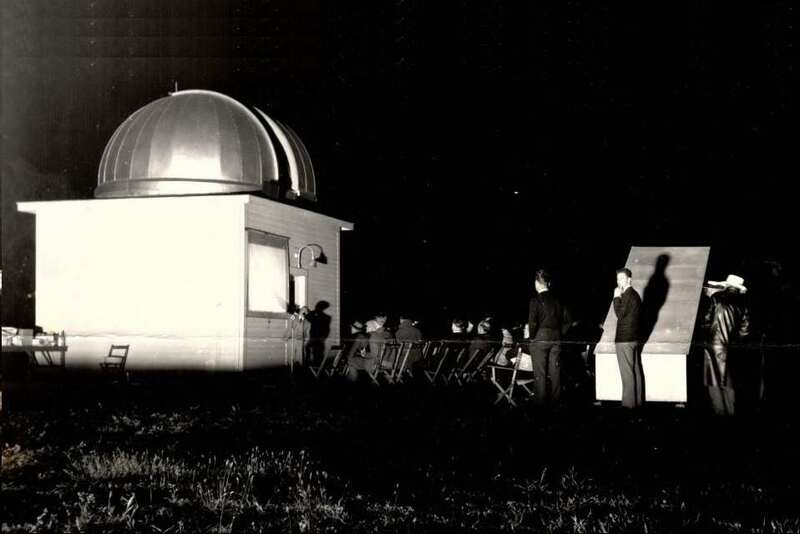 But in 1943, with the onset of World War II, between members serving in the military and gasoline rationing, observatory activities slow to a crawl. 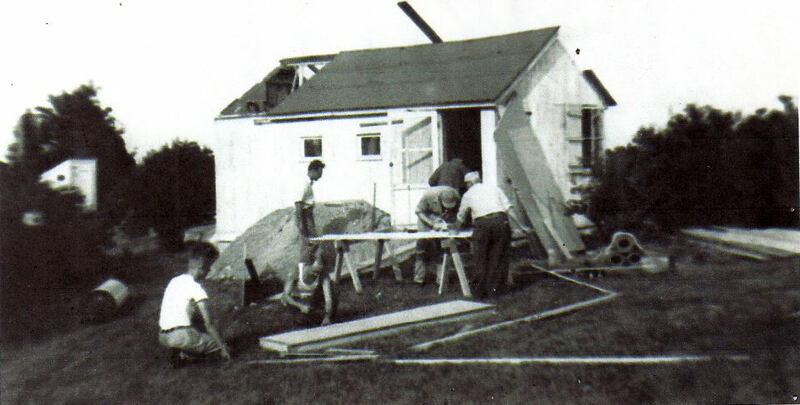 In an effort to get additional gas rations, Halbach and Armfield set up an optic shop, making roof prisms for the war effort. Matthew J. W. Phillips passed away on June 2, 1944. By the end of 1944, the optical shop failed and Armfield then took a job with the Telephone Company of Indiana and Michigan, moving to Ohio. Gas rationing would end in 1945 when the Japanese surrendered. The MAS conducted an expedition funded by the National Geographic to Pine River, Manitoba, to tie the North American grid maps to the European grid maps. The expedition is successful. 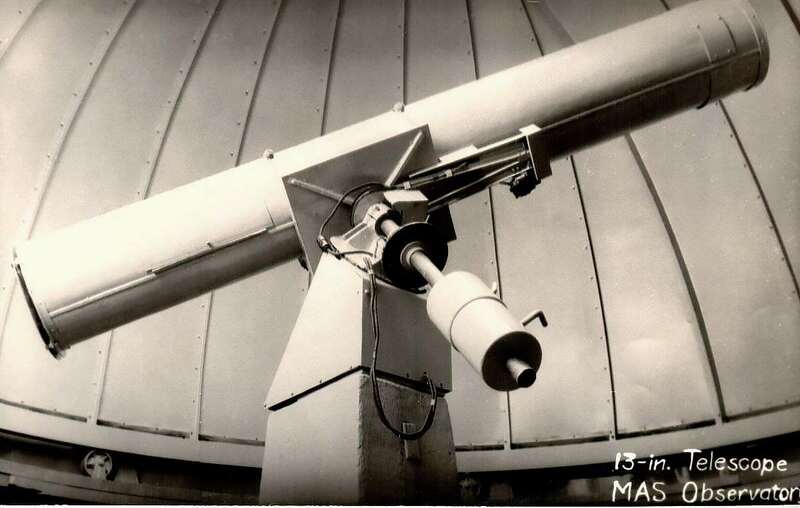 In 1945, Ralph Buckstaff, a long time member living in Oshkosh, announces that he will donate his 12-inch reflector to the observatory as soon as he completes his new 16-inch reflector.